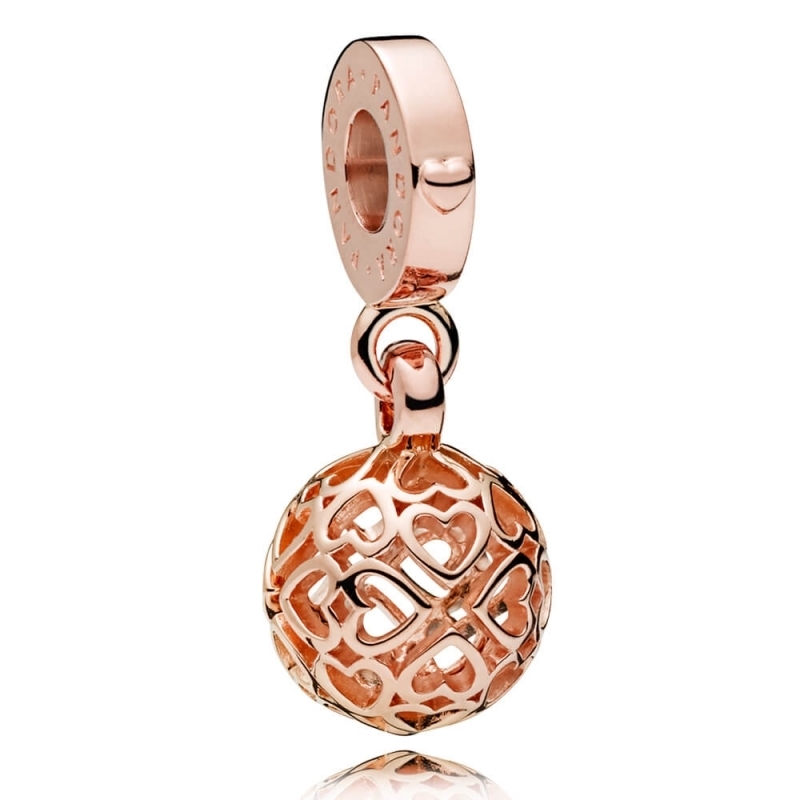 PANDORA Rose Harmonious Hearts Pendant Charm. Beautifully crafted, this elegant PANDORA Rose dangle has been created with intricate filigree openwork design, accentuated with hearts. Highlighted by romantic blush hues, it adds vintage inspiration to any Moments bracelet.